Use the link below and the code TYL2019 to order equipment. Equipment orders will be filled once they are placed. Equipment can be ordered till Aprll 30th. This important fundraiser helps send our teams to the jamboree. 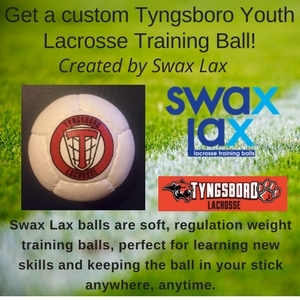 We're looking forward to another great season of Tyngsboro Tigers Lacrosse in 2019 ! Indoor team practices begin in March. 2 practices and 1 game per week starting in April and ending in June. Remember to register your daughter with USLacrosse before you register her with Tyngsboro Youth Lacrosse. Remember to register your son with MBYLL before your register him with Tyngsboro Youth Lacrosse. We will be running a skills clinic for any interested kindergarten students in the spring. Please email jtrischitta@tyngsboroyouthlacrosse.com to get on our email list. Register before January 1, 2019 and receive a free shooter shirt.